2016 was a record year at Autoclenz in terms of new business gains and customer retention, and after a busy first half of the year we are aiming to do it all again. Autoclenz partners the best across all sectors of the motor industry inc. BCA, GEFCO, Avis, Motorpoint, Europcar, Mercedes-Benz Retail, Inchcape Retail and Pendragon to name a few. The reasons clients choose Autoclenz is in the main due to our four pillars: compliance, account management, robust service delivery and innovation. However, it's not enough to deliver what you always have. We understand the challenges that face our clients and are constantly recommending solutions, adding value and delivering. From our vast experience across the industry, we know what best practice looks like and how to implement this into your business. Outsourcing to specialists is the way forward, so you can focus on your core activities and have the best of both worlds. So the question is what are you going to do to improve and enhance your customers' journey? An easy solution is talk to Autoclenz and let us benchmark your current arrangements on valeting, cosmetic repairs, imaging and collection delivery. Currently the norm is for each service vehicle to receive a Wash, Leather and Vacuum. Good enough, but to move it forward how about a couple of minor tweaks to improve customer perception? I would suggest 3 things that can be added for less than £1.50 per car. Dress the tyres as this gives the retail customer a 'wow' factor when their pride and joy has been cleaned and they can clearly see this when walking up to the vehicle. Polish the windows as this is the first thing the customer looks through when they drive away. A squirt of the 'New Car' essence to remind them of the day they collected their car. How does the minimum living wage increase affect you? April 2017 saw the national minimum living wage increase from £7.20 to £7.50 per hour. In your business, at this level, this could potentially affect receptionists, drivers, cleaners and certainly valeters. In the valeting sector this is a fundamental increase in the cost of doing business. Direct labour costs run around 80% and this increase represents a 4% increase in labour cost. Autoclenz is all about the people, but more importantly the right people. Our operators are put through a gruelling industry leading compliance checking process to check their driving licenses, their ability to legally work in the UK and that they are who they say they are. There is a cost to this and more importantly there is a cost to adhering to the new minimum living wage of £7.50 per hour which supports engaging the right people. Over 30% of operators we are asked to engage with when winning new contracts from competitors do not pass our compliance checking process for reasons such as having no driving license, no passport / paperwork or working on a student visa to name a few. This 'grey' labour promotes lower rates with no questions asked, but the risks that go with this option far outweigh any potential short term gains. SMART Repair with vans pulling up onto your forecourt and spraying bumper scuffs etc with over spray covering your stock should be a thing of the past. Autoclenz has the solution, the Smartshop. 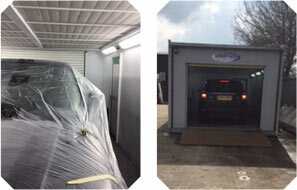 The Smartshop bridges the gap between the van in the car park and vehicles that have to go off site to a bodyshop. As highlighted above there are quality issues and inconvenience with the van in the car park, and once a vehicle goes off site to a bodyshop you lose control of it for a number of days. As the Smartshop is permanently on site it can handle all internal work at favourable rates and turnaround times, but more importantly you can sell these repairs over the Aftersales desk. Typically retail margin is 35%. This important profit stream can effectively fund your internal work and improve your customer satisfaction due to the convenience of your offering. The onsite Smartshop is fully staffed and managed by Autoclenz, including all staffing for peaks and holiday / sickness cover. It is fully H&S compliant with in built extraction and effectively is plug and play. All you have to do is provide a flat area for it to be installed, a power supply and give Autoclenz all of your work at pre agreed rates. Autoclenz will invest in the facility and do the rest. Autoclenz is proud to announce that we will be partnering with AutosOnShow to give our clients the best possible imaging solution in the marketplace. By teaming up with AutosOnShow we can plug into their cutting edge technology to provide our clients with video, still images and auto backdrops on every stock vehicle. The process is simple but very effective. Autoclenz have trained operators in the Valet Bay so that once a valet is complete and QC'd the vehicle moves to imaging where a 60 second video and still images will be taken. This is then uploaded via iPad / iPhone technology and recognises the vehicle by number plate recognition, all in a matter of seconds. 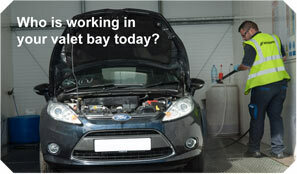 In fact the upload is often completed before the vehicle has left the Valet Bay and moved on site available for sale. Images can also have the backgrounds replaced automatically. This solution delivers consistency of imaging, quality and speed of upload by making imaging part of the vehicle preparation process. It is also important to stress that video imaging versus still photography will significantly improve search engine results for your stock. 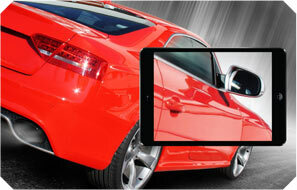 Link this with the AutosOnShow stock imaging portal and you have complete control over your shop window. Autoclenz makes a one off imaging charge per vehicle which is driven through our PVMS (Paperless Vehicle Management System) to give complete transparency. 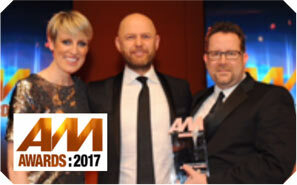 In February, for the 3rd time, Autoclenz sponsored 'Best Used Car Performance' category at the AM Awards in Birmingham. 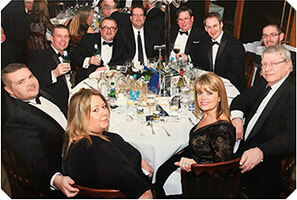 Autoclenz enjoyed the company of some of our valued customers including Europcar, Avis, Gefco and Sixt at the BVRLA 50th Anniversary Dinner held at Hilton Park Lane in March. Automotive students at Burton and South Derbyshire College recently took part in a week long charity car valet, raising £122 for Brake, a road safety and victim support charity. Before the event Autoclenz visited students at the College to deliver an enriching session on how to professionally valet a car, which in turn led to students delivering their own car check and valeting for cars owned by college staff. Autoclenz Training Manager, Simon King, thoroughly enjoyed showing the class of 24 how to carry out a full valet from start to finish and says that the students were interested and engaged throughout the demonstration. Peter Brochocki, Deputy Director of Curriculum for Automotive at BSDC said: "We would like to thank Autoclenz for giving students a masterclass in car valeting. The project is a great opportunity for students to gain valuable work experience, providing a high quality service and meeting customer expectations. It is also a good way for students to use their skills to raise money for Brake, which is an extremely worthwhile cause". Jim Rolfe, Operations Manager at Autoclenz said: "We're pleased that the demonstration carried out was worthwhile to students and gave an insight into professional valeting. We are always trying to introduce sub contract professional valeting to a wider audience, so this was a great opportunity to help us attract younger people into the industry"
"I would just like to say what a pleasure it is to work with a company like Autoclenz. We never get any complaints off our customer only praise for how clean and spotless there vehicles are, which is a credit to Cyril. Due to his commitment and the service that Autoclenz and Cyril provide I have never even considered dealing with another valeting company." "I have had the pleasure in dealing with Autoclenz over the past 15 years and I have never been in need to ever consider another valeting company due to the strength of the relationship that the team have built up and commitment and attention to detail that I know they deliver on a daily basis. Dean has been a fantastic ambassador for this business and one that I will trust implicitly to get the job done to the exacting standards I demand. There is a strong understanding in terms of what is required from them and also that the job of the sub-contracting valeting company is to manage itself. I am pleased to say that this happens. I also get regular feedback and if there is any need to speak to one of the team about anything then I know that it will be actioned as a priority. Autoclenz have a lot of experience in their chosen field of expertise." Congratulations to all that have been presented with Trafalgar Awards during the first quarter of 2017.